Was this an 808 alias for the promo fo La Luz? Before it appeared on the b-side of 10x10. 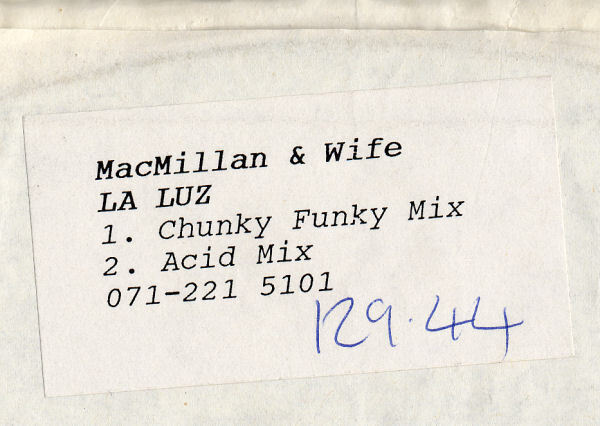 Mark wrote: Was this an 808 alias for the promo fo La Luz? 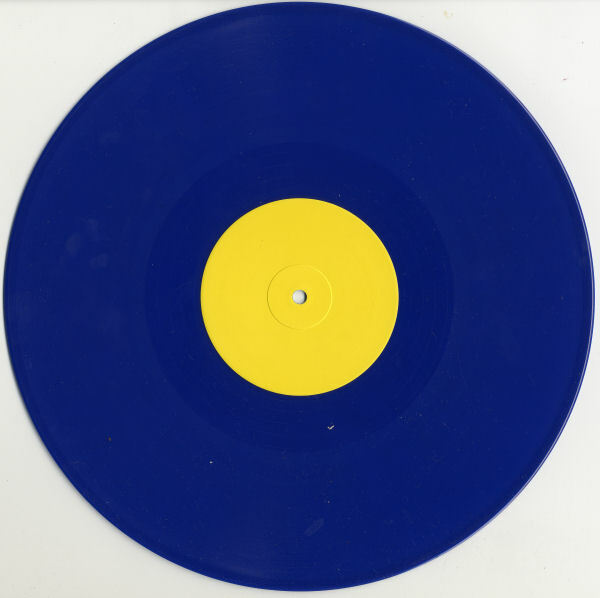 Before it appeared on the b-side of 10x10. Andy & Daz also referred to La Luz as being by "MacMillan & Wife" on one of the radio shows on this site - Markus will know which one! BTW Nick, is the 129.44 on your scan BPM's or price paid? Is this a reference to the 70's TV show starring Rock Hudson? markus wrote: BTW Nick, is the 129.44 on your scan BPM's or price paid? Must be BPM - I certainly didn't pay 130 quid for it!